No one can deny the awesomeness of sliced bread. But did you know that before this ingenious invention made its debut on July 7, 1928 at a bakery in Chillicothe, Missouri, most people thought the idea was crazy? 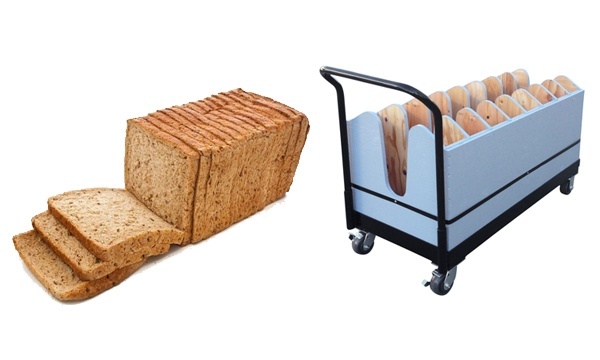 In the making for 13 years by inventor Otto Rohwedder, the first commercial bread-slicing machine was actually rejected by local bakers who thought that once their fresh, delicious loaves were sliced, the bread would fall apart and get stale too fast. Fortunately, customers did not agree. Sliced bread quickly became a hot commodity and it has remained a mainstay in households across America ever since. Why did America fall in love with sliced bread? Because America loves convenience, so anything that saves precious time is a good thing. Sliced bread accomplished this beautifully and it actually improved the quality of the slice at the same time. Consumers no longer had to press down on the loaf in an attempt to create the perfect slice. And they didn’t have to worry about serving bread of varying sizes and thickness either. So it sounds like slicing not only improved the quality of the bread, it improved the quality of the dining experience. 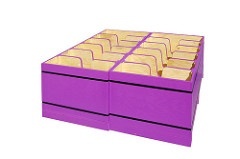 Ready to improve your packaging by adding dividers? Like Mr. Rohwedder and his quest to make bread even better, Valley Box Company wanted to make something that people use every day better. Of course, we’re talking about packaging! 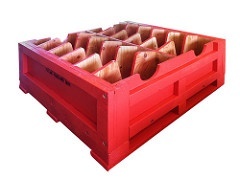 While wood crates are pretty cool to begin with, there’s always room to be even cooler. 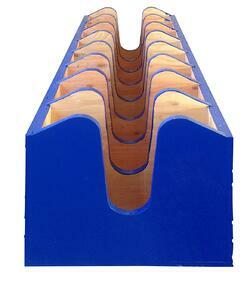 Adding Valley Box dividers can help take your packaging to that next level. 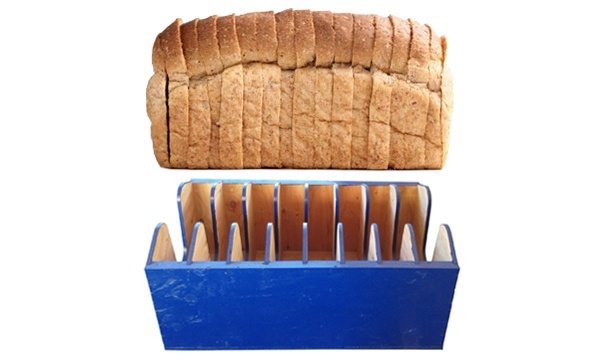 Besides having the appearance of sliced bread, Valley Box dividers share other traits such as time-savings, improved quality and even cost savings. These vertical dividers help organize the contents of the packaging quickly and neatly, while eliminating the need to perform other packing by hand. This saves time. There’s no need to measure anything either, as the dividers are precise and will only hold exactly what it was designed to hold. The design makes packing so simple that now even inexperienced packers can accomplish the job. Each individual “slice” holds your product in place while protecting it from possible damages that could occur during transit. This means the quality of the end-product is improved because products are packaged right the first time and are not being "pressed down" or over/under packed avoiding damages during transit. We mentioned the time savings during packing and the improved quality of the end product, any savvy business person will recognize that there are more cost savings associated with that. 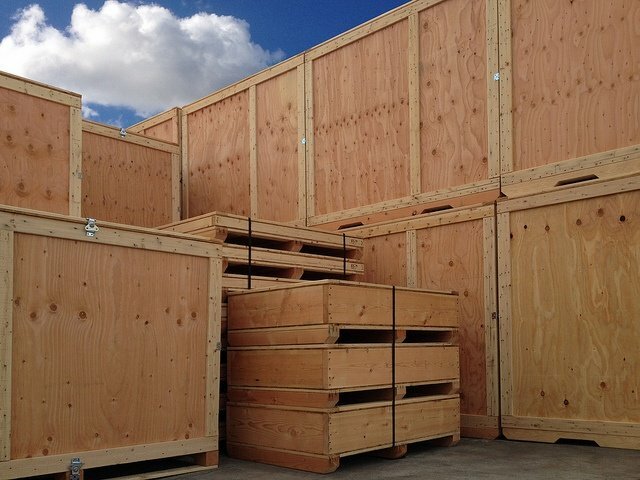 When you add internal dividers to your wood crate you improve the packing time which allows labor to be used elsewhere. Distribution of labor force can save money by allowing more products to be manufactured or applying available labor to other tasks. When you add internal dividers, your products are protected, which means you can avoid product damage. Less damage means customers will receive their products in one piece. This leads to satisfied customers, repeat business, and increased sales. You’ll also avoid the expense of replacing damaged products, along with the costs associated with the man hours needed to repackage and re-ship the products. So yes, wood crates with internal dividers are the best thing since sliced bread because when the customer wins, businesses win too!